It’s been two weeks since my TinkerBell Half-Marathon and it’s time to get off the couch. What? You don’t think I will stop after a full marathon AND two half-marathon, right? I’m not going to go back to do Mt. 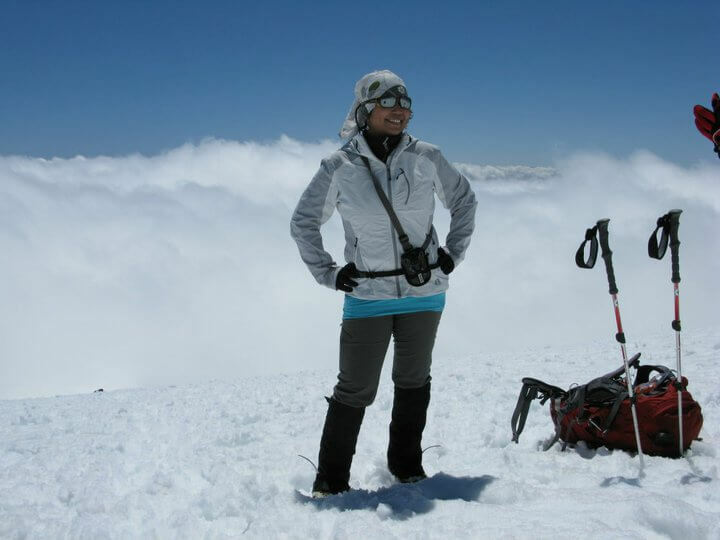 Rainier summit attempt this year as I explain in my previous post, so I have to fill my year with some goal I can work towards to and even though my husband started to tempt me with Triathlon event, I’m going to pass as I am not really a good swimmer. And I rarely ride a bike. Anyway, I have have registered for another two race this year, and planned to register for the third race as soon as the registration open. They are Vancouver Half-Marathon on May 6 and Disneyland Half-Marathon on Sept 2. I will blog about my third race as soon as I registered and committed to it. For now, let just say – I might do another one towards the end of the year. My training started yesterday and I will blog my weekly recap as usual. The best part about this race? I’m going to do it with my close friends. Both of my bridesmaid from my wedding, who also a great friends of mine, Mindy Rose and Marisa Madrid are going to run Vancouver Half with me, on top of that, Ryan Malcom (t) is joining us for the fun. This will be Mindy and Ryan’s first half-marathon and Marisa’s second. I’m excited to share this experience with them! For Disneyland Half, two of my awesome friends, Brent Ozar (t) and Kendra Little (t) are joining me on this fun. Brent is trying to recruit more people from SQL Community to join us on this race as he blogged it here. So, my awesome reader – if you are thinking about doing a half-marathon and want to do that with a friend, this is your chance. Join me in either of this race and we’ll have some fun together. If this is your first half-marathon and you aren’t sure if you can do it, or pick which training plan to use, I can help you. I had a lot of help (and still do!) and this is my way to pay it forward. Disclaimer – I’m not a coach, or a trainer, however, I am a good training buddy. I can be your person to whine, brag, complaint and cry about your run as long as you don’t mind to be mine. It’s going to be awesome, because we are awesome. Put on your running shoes, and let’s do this together. Last year, on my climb recap, I vowed to be part of 2012 Climb for Clean Air event again and give Mt. Rainier another try. I love the mountain so much and I am a big supporter with American Lung Association effort and this event is the best of the both world for me. I get to climb the mountain that I adore so much and be part of an amazing event for a good cause. This year is also mark as 25 years anniversary of this event, which made it even special and my mind was set to be part of this amazing event again. My family are my biggest supporter. Without the support from my husband, I would have serious hard time to accomplished things the way I did. Last year, we trained together and weekend after weekend, we drove 2 hours to the mountain so we can hiked for 8 hours and head home (well, he drove, I napped). It was wonderful and awesome. There are certain health challenges that we are facing recently and my husband is heading in to some surgery with about a month recovery time, and there were absolutely no way we can squeeze in an appropriate training with that short period of time and the last thing you want is to go up there without proper training. So we decided this year, something gotta’ give. We are not going to be part of the event for this year and will be looking forward for the opportunity to be part of it next year. The mountain is not going anywhere and it always welcome and challenge us to give it another try. For those who want to know more about this event, feel free to contact me. If you want to give mountaineering a try and want to take on challenge to summit the mountain, this is an awesome event to be part of. Their reach to the summit program give you flexibility to choose between four mountain; Mt. Rainier (14,410ft), Mt. Hood (11,239ft), Mt. Adams (12,276ft) and Grand Teton (13,770ft). I proudly stood on the summit of three of those mountains (Rainier, Hood and Adams) and I can tell you this, it was absolutely amazing experience. They will have professional guide service and you are not required to have certain pre-requisite mountaineering skills (you kinda have to be somewhat fit tho). This picture was taken around 9,000ft and is my favorite picture of me in the mountain. It was a phenomenal day and a great reminder of why I love this mountain so much (I did look happy, yes?). We might still take occasional hike up to the Camp Muir during the summer or to the surrounding lower peaks. Would love to have other people in this awesome SQL Family to join us one of these days. 2013 Climb for Clean Air — watch out for us!